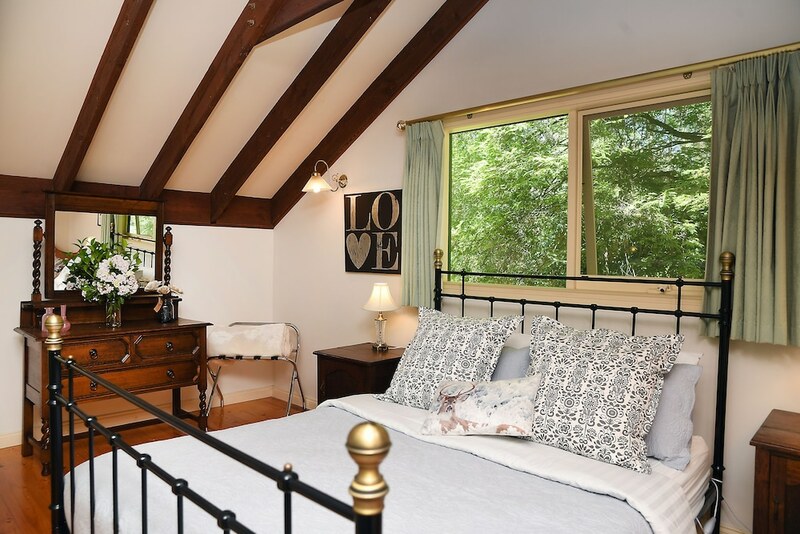 Located in Olinda, Cambridge Cottages Bed & Breakfast is in the mountains, a 4-minute drive from National Rhododendron Gardens and 6 minutes from Olinda Falls. This 4-star bed & breakfast is 2.5 mi (4 km) from Dandenong Ranges National Park and 2.6 mi (4.1 km) from SkyHigh Mount Dandenong. Treat yourself to a stay in one of the 2 individually furnished guestrooms, featuring fireplaces and LCD televisions. Rooms have private furnished patios. Kitchenettes are outfitted with refrigerators, stovetops, and microwaves. Private bathrooms with shower/tub combinations feature jetted bathtubs and complimentary toiletries. A train station pick-up service is provided at no charge, and free self parking is available onsite.